b.1971. B.A. Rutgers University, 1993, J.D. with honors, New York Law School, 1996. Admitted to the New Jersey Bar, 1996, Admitted to the New York Bar, 1996, Admitted to the DC Bar, 1997. 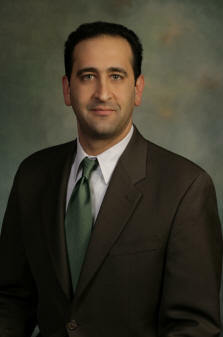 Mr. Savarese has been associated with the firm since 2005. His practice specializes in the defense of Workers’ Compensation matters in the State of New Jersey. He represents companies of all sizes, self insureds, insurance carriers and third party administrators. He is a member of the New Jersey State Bar Association, and has delivered numerous seminars to his clients.